The British mainstream media have gone full throttle in their damning coverage of the anti-Semitism story afflicting Jeremy Corbyn and his Labour Party; but is there just a touch of hypocrisy and double standards on their part? 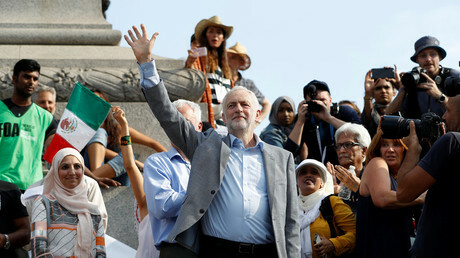 Much like the infamous ‘Czech spy’ and ‘Russian stooge for the Kremlin’ stories, Jeremy Corbyn has faced wall-to-wall print media coverage on the anti-Semitism issue that has enveloped his premiership as Labour leader over the last few weeks. That’s the same David Duke who tweeted in June 2017, “God help the U.K. if this anti-White Marxist is… selected,” but why should the Times worry about such minor details? God help the U.K. if this anti-White Marxist is … selected. Unfortunately, when it’s all said and done, Theresa May, may be just as bad. It would be an unlikely revelation if the mild-mannered, anti-racist of 40 years who demonstrated against apartheid South Africa in the 1980s is in fact the main inspiration for white-supremacists and former KKK grand wizards. Rupert Murdoch’s Sunday Times publication caused controversy in 1992 when it invited world-renowned Holocaust denier David Irving to help them with a serialization of the diaries of Joseph Goebbels, the German Nazi politician and minister during the 1930s and 40s. Irving was paid a six-figure sum, according to the Independent. 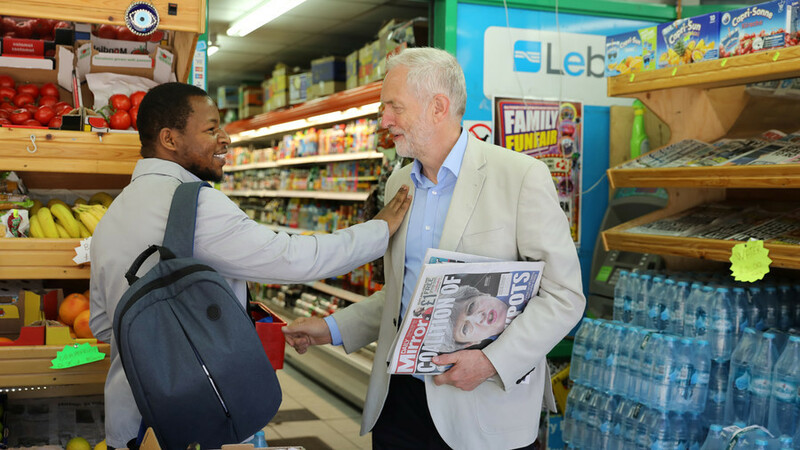 Daily Mail journalist Dan Hodges has been a consistent thorn in the side of Corbyn since the Islington North MP threw his hat into the Labour leadership ring in the summer of 2015. It’s safe to say Hodges wasn’t too impressed about Thursday’s #WeAreCorbyn Twitterstorm that saw the hashtag reach No.3 in the worldwide trending charts. If you’re just easing yourself into the day, the Corbynites have neatly framed the choice facing us all now. Do you stand with Jeremy Corby. Or do you stand with the Jewish community. Personally, I’m standing with Britain’s Jews. On the face of it, a principled stance from Hodges even if you disagree with his views on Corbyn. The difficulty for Hodges arises from his open hostility to left-wing Jewish groups/people that do not agree with him on Corbyn and the Labour Party. A highly offensive response to a Jewish person who had a difference of opinion to Hodges and who was simply exercising his democratic right. Right-wing online magazine the Spectator published a recent article titled:“The Labour party is no longer a place for a Jew”. It was written by a Jewish, now ex-Labour, member detailing why he felt unwelcome in the party and so had decided to quit. It appears to have been written with utmost sincerity, which makes it all the more mystifying as to why the Spectator allows ‘Taki’ Theodoracopulos to continue to write for them after a litany of anti-Semitic accusations leveled at him – even by his Spectator colleagues. Taki has also written in support of ultra-nationalist Greek political party Golden Dawn, which has been accused of being a neo-Nazi organization, according to the Huffington Post. More recently, the Greek writer wrote an article titled: “In praise of the Wehrmacht”. The Wehrmacht were the armed forces of Nazi Germany from 1935 to 1946. The headline was subsequently changed to “The truth about D-Day”. In his original piece, he wrote about the “heroism of German soldiers who were vastly outnumbered but fought nobly and to the death,” before this too was changed to a slightly more palatable description. It drew widespread condemnation on social media. Right-wing British magazine The Spectator keeps on running pro-fascist articles by its racist columnist Taki, who founded The American Conservative. Taki has written articles praising the Wehrmacht, Mussolini & the fascist Golden Dawn party. Must be economic anxiety. The @spectator has published articles by Taki in praise of the Wehrmacht, Mussolini and Golden Dawn. Fraser Nelson is to the Spectator what Dorian Gray was to his portrait: the nice boy veneer conceals the corruption behind the covers. The British mainstream media certainly loves a Corbyn story, but is not so fond of a little perspective.